The Charlotte Convention Center is the perfect venue for your business to rev its engine and cruise into new business. Use one of our high quality trade show displays for all your exhibiting needs while in Charlotte, and let the competition know whose in the lead. When you're done, pop by the NASCAR Hall of Fame and high tech museum right next door for an extra jolt of adrenaline! Sharing your brand through the showcase of an exhibit allows you to obtain a higher level of credibility and become more visible to your audience. This platform for growth, simultaneously extends to you the opportunity to gain potential customers for the future. 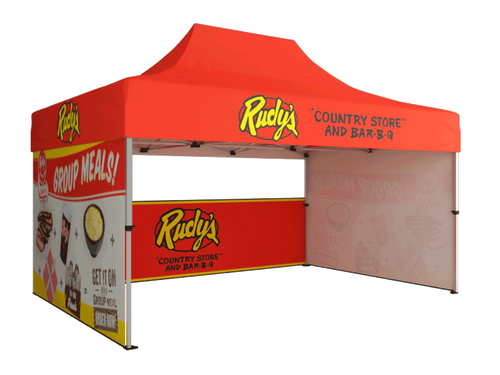 Trade show booths can solidify your role in the industry as a steadfast brand and partner. The Charlotte Convetion Center is located at 501 S College St, Charlotte, NC 28202 and hosts over half a million visitors each year. The convention center is also connected to the NASCAR Hall of Fame! What goals would you seek to accomplish at an upcoming trade show? Many companies set out in hopes of building their email list, close some sales and network with a variety of new people. You are left with the job of choosing the best graphic display that will bring you the highest ROI. The design and type of booth you opt for will allow you to leverage the level of impact you have on viewers and their response. It is highly encouraged that you advertise to the public of your future presence at upcoming trade shows. Campaigning in advance, before the actual date of the event is very helpful. The campaign will allow you to create a buzz around your business and future products to be released by your company. The created buzz will draw a crowd of past and future clients interested in what your company has to offer in the future. Ideally, designing a booth that appeals to a diverse audience is what you want to create. Your brand is authentic. Trade show booths work to showcase the very thing that makes you authentic. Alongside this the booth will give you the opportunity to share vital information concerning your growing company. Why should past and future clients choose you over other brands? A good visual presentation will show consumers who you are and what you have to offer that other businesses don’t. Without successfully shining light on the strengths that set you apart from other businesses, you may find it hard to attract potential customers or hold the attention of those already watching. Let your booth place emphasis on the elements that set you apart from the crowd by choosing the most appropriate type and design for your booth.